While the Purification program is a vital step in handling the effects of drugs, it is not a full handling in itself. Complete freedom from drugs and their damaging consequences requires that a person also directly address the mental image pictures that are connected with having taken drugs. While the Purification program gets rid of drug residues that keep mental image pictures in constant restimulation, these pictures still exist. They can be restimulated by perceptions in the environment and affect the person adversely, below his awareness and out of his control, a factor that is both insidious and extremely detrimental. The processing which directly deals with these pictures is called the Drug Rundown. 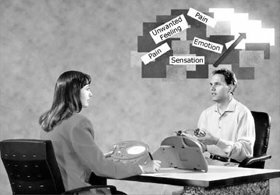 It is delivered by highly trained practitioners in Scientology churches and missions. 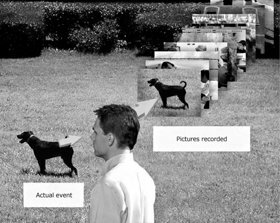 Normally, a person accurately records in his mind perceptions of the physical universe. But drugs can tangle these recordings and badly distort what he perceives and, later, his recollection of what actually occurred. A rundown is a series of steps designed to handle a specific aspect of a person’s life or difficulties and which has a known end result. The result of the Drug Rundown is freedom from the harmful effects of drugs, alcohol and medicine and freedom from the need to take them. 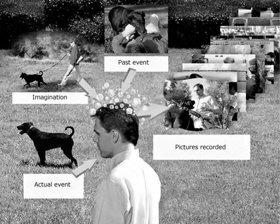 A person’s perceptions and recordings of the physical universe when on drugs are inaccurate, to say the least, as they are a combination of past events, imagination and the actual events which occurred at the time. A person can have pictures from past experiences tangled up with his present time perceptions. In essence, then, the pictures in his mind are scrambled to one degree or another. Thus his memory and his ability to think are both impaired. A person can locate the source of any harmful mental effects of drugs, alcohol and medicine with Drug Rundown processing. The person can become free from those harmful mental effects and, as well, free from the need to take drugs ever again. The Drug Rundown handles several major aspects of past drug use. First, experiences the person had while taking drugs are directly addressed with precise procedures, which free up attention that became stuck on those experiences so they no longer affect him. The more a person has had his attention freed from past incidents, the more able he is to deal with his life. He feels brighter, has increased perception, is better able to control himself and the things in his surroundings, and he becomes more able to rationally interact with others. Another factor addressed by the Drug Rundown is that a person who has taken drugs also has a host of unpleasant physical, emotional and mental sensations connected with them. By discovering and examining the source of these, the harmful energy connected with them in the mind is released. Finally, the processing gets right to the core of the matter and locates the basic reasons a person took drugs. A person originally turned to drugs for a reason—some physical suffering or hopelessness. The drug problem is thus essentially spiritual. The being was somehow suffering and drugs became a way to alleviate this. If this original reason is not addressed, the need or compulsion to take drugs or medicine or alcohol remains. Processing not only effectively deals with the effects of drugs, but enables the person to discover and eradicate the causes which led him to take them in the first place, thereby completely eliminating any desire to use or depend on them in the future. The Drug Rundown, therefore, deals with and handles the unwanted feelings the person had both during and prior to the use of drugs, alcohol or medicine. The compulsion to still use drugs or alcohol is removed so that the person has no need to ever again turn to them. By completing this processing, the person is at last free from any effects of drugs. A full resolution of the mental and spiritual damage from past drug use requires all these steps. a small part or quantity that remains after use; remainder. a series of steps designed to handle a specific aspect of a person’s life or difficulties and which has a known end result. the entire range or extent of something, arranged by degree, quality, etc. ; a broad range of varied but related things, the individual features of which form a continuous series or sequence, especially with opposite values at its limits. a series of processes that address the mental image pictures connected with having taken drugs. The result of the Drug Rundown is freedom from the harmful effects of drugs, alcohol and medicine, and freedom from the need to take them.